Anglers Adventures & Outfitters offers a truly enticing and once in a lifetime option for people seeking an Alaskan adventure: Cruise Ship Fishing. When it comes to giving clients an outdoor experience to remember, we do it best. 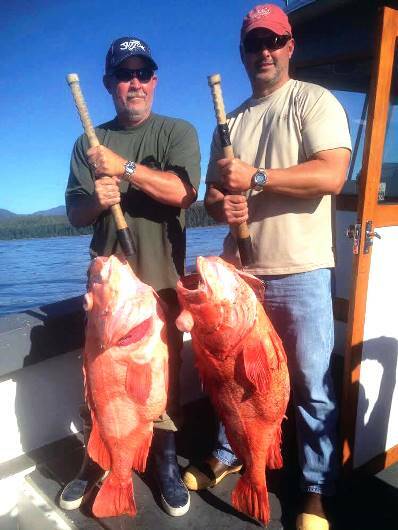 Owned by Brian Ringeisen, an experienced Captain licensed by the US Coast Guard, Anglers Adventures and Outfitters thrives as a result of knowing how to find Alaska’s wildlife and helping our clients get the most out of their cruise ship fishing adventures. Anglers Adventures & Outfitters is based in beautiful Ketchikan, Alaska, and offers customized adventures by creating off-ship excursion day trips. Getting off our boat allows you to indulge your adventurous spirit in any number of ways, depending on your unique interests. Some clients like to hang out watching sea lions or perhaps want to do some salmon fishing in southeastern Alaska’s beautiful rivers and streams. 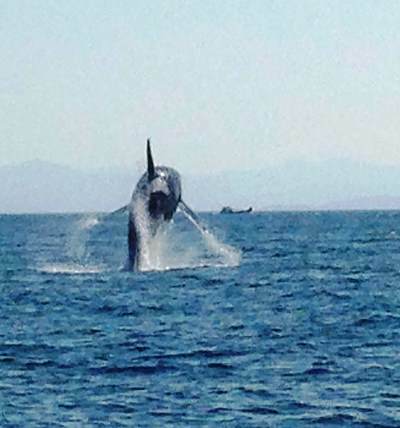 Others prefer to wait patiently for their breath to be taken away by whales breaching the surface of the ocean. The majestic and wild Alaska coastline is alluring enough to inspire awe in our clients, especially those who have never visited a place like Alaska. But as appealing as the geography is, it is the wildlife that ties the experience together. Because our trips venture out far enough from Ketchikan, you will find that the ocean water is clear for ocean animal sightings. And most times, those sightings are plentiful. When you squint your eyes to find a breaching whale in the distance and then are surprised by one swimming right by our boat, almost close enough to touch it, you will have a memory that will last a lifetime! We believe we offer the best possible balance of luxury and rustic appeal. We provide the equipment and bait you need to do some great fishing. The Sierra Dawn, (your charted fishing boat) has the latest and greatest fishing gear, electronics and equipment needed for sailing safety. Amenities like a heated cabin and a private bathroom so you can clean up, be comfortable, and relax when you need a break from your adventure. When you are ready to put your Alaskan fishing adventure in motion, contact us. We work with all the cruise ships, and undwerstand that you need to be back to the ship on time. You can reach us by calling us at 907-254-0880.